Minneapolis lawmakers predict that thousands of driverless cars will grace the roads of Minnesota in the very near future. These are the latest gadgets to garner interest with trend watchers, and they have been hailed as the leading edge of a greater movement towards robots. What do they mean for our roads? The future of driverless cars, short-term, looks somewhat murky. There are still an abundance of technical hurdles and when they do hit the market, driverless vehicles will be launched at high-end prices. Furthermore, they may not be completely driverless, which means experienced and licensed drivers will be have to override the steering computer should the car get lost or be in danger of an accident. As with any new technology, there is also a degree of nervousness and suspicion. Motor vehicle accidents account for the main cause of non-natural death in the United States. 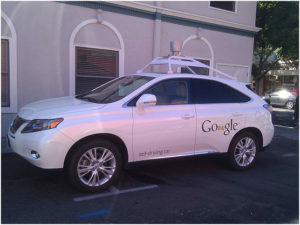 There are bound to be flaws in the driverless cars that will not become apparent until they undergo a real road test. While machines can react quicker than humans, mixing the two on the same road can make for unpredictable accidents. In the event that drivers are injured or killed, will the driverless car manufacturers be held liable for personal injuries? This is yet to be determined. But, this is all in the short-term. If driverless cars can be made to operate reliably on Minnesota’s roads, and in fact the rest of the country, and they are not driven by liability lawsuits, they are bound to have a significant impact on society. The biggest benefit of driverless cars for our society is the promise of less road accidents, which means less death, injury, and loss of property. With driverless cars set to eliminate the number of human drivers who are tired, speeding, drunk, and distracted, we should see a significant reduction in car accidents. A driverless road will not be completely accident-free, considering the incidents that could occur due to computer and mechanical errors, but it will render the loss of limbs and life on our roads rarer. Driving is the trademark of responsible adulthood. Obtaining a license in our late teens and learning how to operate a car is deemed a rite of passage. However, people with severe mental or physical handicaps may not drive. Those who have taken drugs – recreational or medical – or consumed too much alcohol should not drive. The elderly lose their ability to drive as their reflexes and eyesight deteriorate. These factors are a blow to a person’s independence. Fortunately, none of these things have to be true of a driverless car. For instance, a child who is old enough to take public transport or ride a bike could be considered old enough to embark on a driverless car journey. Furthermore, the handicapped and elderly citizens have much to gain from increased independence and mobility by taking driverless cars to run errands, attend appointments, and even buy groceries. When cars are controlled by drivers, they have to be operated manually. When cars are operated by computers, it is easier to password-protect the on-board navigation system. This makes it harder to steal driverless cars. With the chance to spend more time texting, sleeping, reading, and talking on the phone, carless passengers will no longer have radio as their only option for entertainment during a journey. Our radio programmers depend on drivers, with drive-time morning and evening shows rendering the largest ratings for radio stations. But, with no drivers, there may no longer be a need for drive time. Besides the vehicles, the design of traffic and roads is built around human drivers and their needs and behavior. That is why we have road signs, street lights, road markers, and we keep foliage from obstructing visibility on corners. While driverless cars have their advantages, human driving creates many jobs, especially in the case of limo drivers, truck drivers, urban taxi drivers, and delivery drivers. Driverless vehicles will not completely eliminate such work, but they are set to reduce employment, particularly among taxi and cab drivers. Presently, cars are designed and built around the needs of drivers. Windshields are one such example. In the front, close to the driver and passenger, there is a massive piece of glass. No matter how far technology has advanced in the windshield industry, shattered windshields and the inevitability of people flying through them remains a major cause of death on our roads. Yet, windshields remain an essential part of a car, even though they are difficult to keep clean and require the regular replacement of wipers. Driverless cars, though, will not necessitate a windshield. Rather, they will have exterior sensors or cameras to watch the road, and even the bumpers. Furthermore, they will not need seats near the front or even facing forward. The person manning the car will be able to sit anywhere in the vehicle with a monitor to check the road and directions. As driverless cars move away from needing everything within arm’s reach, other design changes are bound to follow. For instance, GPS, video systems, and air conditioning can be controlled from anywhere within the car. Currently, there is a tug of war between safer, heavier cars and lighter, fuel-efficient options. This could be revolutionized if we are to transition to completely driverless roads. While safety is not the sole reason for larger cars (we still need space for cargo and family), it is a consideration, and one that is set to become less urgent as driverless cars reduce the risk of accidents. 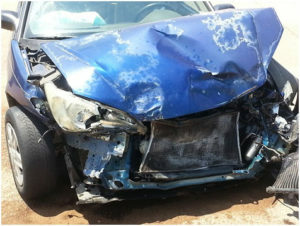 Automobile insurance and accident lawsuits are a multi-billion-dollar business. The risk of road accidents is why Minneapolis mandates that every driver have insurance. By eliminating drivers and the risk of accidents, this large business enterprise is going to be unsettled, and we will see a need for car insurance companies to downsize. In turn, lawyers will move towards suing manufacturers. One of the biggest arguments for the 21-year-old age limit on drinking is the reduction of drunk-driving fatalities. Now, we have to consider that people under the age of 21 who are under the influence of drugs or alcohol will not have to drive. Driverless cars may unsettle such policy debates. While driverless cars certainly have their many advantages, there are also downfalls. It used to be that drivers could get into a car and head off with anonymity, wherever they wanted to, and whenever they wanted to, without their movements being tracked. Now, with GPS and toll-collecting, privacy is being eroded. Driverless cars will be completely dependent on GPS and wherever you go, the machines will remember that they took you there, making anonymity near impossible. Thanks to mobile technology, working remotely is easier than ever. Working during your commute, though, is a hazard. If commuters take mass transit, they are unable to conduct business calls on a busy train. There is no wireless signal in subway tunnels. There is no opportunity to spread out files and paperwork when changing buses and trains. Driving and texting or talking on the phone are hazardous – even if there is a hands-free option. Driverless cars will avoid these obstacles, which means they can easily become mobile offices. Perhaps we will even see driverless cars equipped with mobile workstations. For jobs that require a great deal of travel, this could be a blessing. For families who want to gain more time together and less time commuting, driverless cars offer the promise of a somewhat shorter day spent in the office. However, for workers who savor that quiet time between work and home, it will mean less chance of turning off the phone for a little solitude. The more that cars use electronics to operate, the costlier they will be to design, and to repair, and that means they will have a shorter shelf life, too. This is not good news for people who cannot afford to own a driverless car. Typically, the lower end of the used-car market was the answer to many youngster’s and less well-off people’s concerns who could ill afford to purchase a top-of-the-range car but were able to keep an aging piece of machinery running for even a couple more years. With the technology used in driverless cars, particularly the impressive computer systems, along with the costly components required to run the on-board navigation systems, less youngsters, and especially those with low-paying jobs, will be able to afford to keep a car. Driverless cars offer a big advantage for law enforcement. In a driverless world, law enforcement will have easy access to the GPS data. There will also be the ability to redeploy resources to combating intentional crimes as there will be less need for time spent enforcing traffic laws and prosecuting drunk drivers. However, there may still be a need for human drivers in this sector, as the need to break rules, speed, and react in an unpredictable fashion on the roads means that EMS and law enforcement vehicles will need to use emergency systems to override navigational computers. By eliminating drivers, the traffic stop will die. In some communities, speed traps bring in major municipal revenue. For police around the country, traffic stops are frequented by human drivers violating traffic rules. This leads to many arrests for drug trafficking and a host of other crimes. By driverless cars taking away our privacy and anonymity, police will be able to effortlessly track a person’s movements. However, we may gain privacy when police lose their most popular reason for searching a vehicle’s content. This could have a severe effect on how we view our law enforcement. For wealthier and middle-class Americans, especially those in smaller cities, traffic stops are one of the most frequent combative interactions that law enforcement have with drivers. When we take away speeding tickets, DWIs, and DUIs, many citizens are sure to be a lot less concerned with privacy issues and perhaps less empathetic to complaints about our law enforcement. For now, driverless cars are still a little way off from taking over our roads. If you have been charged for driving under the influence of alcohol/drugs, our DWI defense attorneys can help with your case. Contact us for a consultation.